I’ve struggled with overwhelm and anxiety about my body and weight. I’ve put pressure on myself to be perfect and I’ve used food to relieve the stress. I’ve been confused about what to eat and how much. I’ve felt shame for eating when I wasn’t really hungry. I’ve eaten more when I was alone than when I was with others. I’ve eaten because I was stressed, bored, sad, and angry. I’ve been “good” all day and then blown it at night. I’ve doubted my own intuition and instead, listened to the “experts’ rules” about food. For many, many years. Thankfully, I’m on the other side of all that crazy suffering. I’ve found an approach to food and my body that is life changing. This approach has transformed not only me, but also my practice as a dietitian-nutritionist. As a child, I was always interested in nutrition. Growing up, I had asthma, allergies, digestive issues, and I was sick more than my friends. Through trial and error, my mother helped me discover which foods triggered some of my conditions. It fascinated me to know that food had such power over how we felt. I guess it was destiny then that I decided to become a dietitian-nutritionist. Growing up, I suffered from anxiety and this made for a disastrous relationship with food. To cope with the anxiety, I would eat. Somehow, I muddled through and went off to college. After graduation, I worked in Japan for 2 years and then in corporate America before deciding to pursue my passion and go back to school for a degree in nutrition. But being trained as a dietitian-nutritionist did not equip me to deal with the psychological aspects of weight and eating. Even when someone knows what to eat and how to take care of themselves, why do they not do what they need to do in order to achieve their health goals? In nutrition school, we studied a lot of important science but what didn’t jive with me was the constant reinforcement that in order to lose weight, you had to diet. And that was it. You just had to count calories and deprive yourself of food when you were actually hungry. But 95% of dieters eventually gain the weight back. This is crazy I thought to myself! Why would I want to promote something where only 5% of the people will have success? So I kept searching for a way to help people in a more sustainable way. I learned more about holistic health, cooking and eating simple whole foods, and stress-relieving practices. Yet, I still searched for the PERFECT DIETARY APPROACH. In to adulthood, I continued to struggle with digestive issues, bloating, overeating, and weight fluctuations. Then I found what I had been searching for. The life-changing work of mind-body nutrition and the psychology of eating. I’ve learned what to prioritize when it comes to food and eating. What I’ve learned flies in the face of traditional weight loss approaches. But I kept an open mind and things started shifting. My digestion improved. My metabolism responded. My weight stabilized. Simply knowing about healthy eating is not what it takes to be happy and at our healthiest weight. There is a better way and I’m so thankful to have found it. I lived, studied, and worked overseas in Europe and Asia for several years. Then after several years in corporate America, I felt the urge to pursue a career in health and nutrition. So I went back to school to earn a masters in nutrition. After graduation, I completed a full time, nine month dietetic internship. During my internship, I counseled hundreds of patients with conditions such as cancer, cardiovascular disease, kidney failure, diabetes, overweight, obesity, and patients in the ICU. After becoming a registered dietitian-nutritionist, I completed three additional world-class holistic trainings for healthcare practitioners. I now have a private practice where I counsel clients who are ready to make lifestyle changes and tap in to their inner wisdom. I love being able to make a difference in people’s lives. I help clients create a healthier relationship with food, which creates a more balanced life. I individualize my recommendations based on each client, as there is not a cookie cutter or one-size-fits-all approach to reaching your goals. 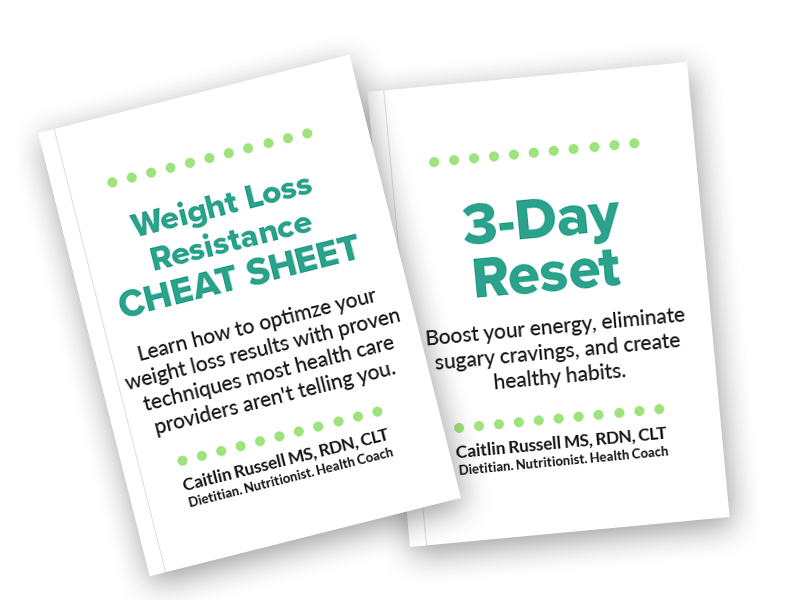 I enjoy helping clients overcome struggles with weight – as I myself discovered what works best for my health and well-being. Let me help you find your way, so you too can experience life as it is meant to be – free from worry over weight, free from diets, free to love yourself. When I am not helping clients make lasting changes in their health, I enjoy spending time with my husband and being a mother to our two active daughters. I love cooking in the kitchen, spending time with family and friends, traveling, taking walks, meditating, being active at my childrens’ schools, volunteering, reading nutrition books, and discovering the latest science when it comes to increased health and longevity.